At Homestead Outdoor Products, our wholesale fencing and retail fence supplies are produced by respected companies that manufacture best-in-class products. Whether your project calls for aluminum, chain-link, or vinyl fencing, we have the highest-quality, most-durable products available. And we offer the superior level of customer support you should expect from fencing distributors. Our sales team has years of field experience and can answer whatever questions you have about any of the products we offer. Contact us today to discuss your fencing supply needs. 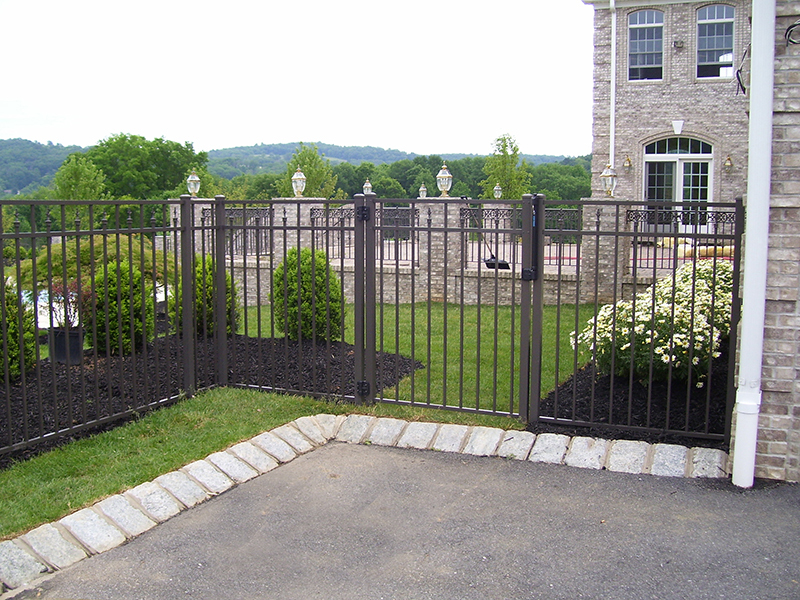 Aluminum fencing provides the beauty and protection of traditional wrought-iron fencing without the maintenance. 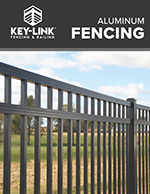 Key-Link aluminum fencing adds distinction, aesthetics, and value as it makes a property more secure. Needs minimal upkeep: It's powder-coated to prevent rusting. Meets safety standards: Because of exceptional durability, aluminum fencing won't sag. Affordability: Aluminum fencing is cost-effective and doesn't need additional finishing. Limited lifetime warranty: While wrought iron and wood fences are susceptible to wear and tear, aluminum fences come with a limited lifetime warranty. Stylish: Available in a wide range of colors and designs, aluminum fencing offers variety and makes an attractive addition to any home or business. Key-Link aluminum fence systems come in attractive ornamental and heavy-duty commercial styles. Whether your project has aesthetics or security as its top priority, Key-Link has a series of aluminum fencing to match your needs. 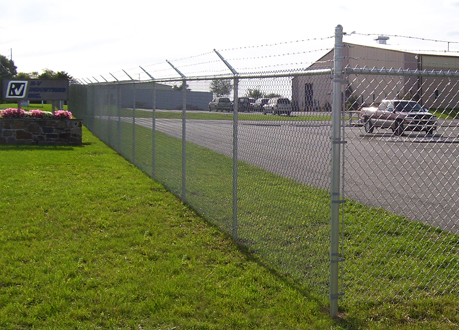 Chain-link fencing is an affordable fencing choice for both residential and commercial properties. It allows sunlight to flow through freely. For property owners who prefer privacy, slats can be installed into the mesh of the fence. Chain-link fencing makes an ideal solution for defining property lines, enclosing government and commercial facilities, protecting property, and adding value. Low maintenance: GAW fabric is more durable and long-lasting than other chain-link fencing because it features GAW complete zinc coating. Lower long-term costs: Over time, GAW fabric saves money, providing long-term cost-effectiveness. No flaking: Because it has a heavier, more thorough coating, GAW fabric won't flake or bare trim ends. Meets ASTM standards: You get peace of mind that you're buying fencing of consistently high quality. Prevents corrosion and rust: With zinc-based cathodic protection and an additional protective coating, you won't have to worry about Key-Link GAW fabric deteriorating or rusting. Whether you're enclosing a residential pool, closing off sensitive areas on a commercial property, building a dog kennel, or keeping livestock safe, chain-link fencing is a smart, durable choice. Attractive and built to last, vinyl fencing requires no staining, painting, or other treatments to look great and hold up to the rigors of weather. It can reduce maintenance and replacement costs dramatically over time. Homestead Outdoor Products' vinyl fencing, made by Superior Plastic Products, meets all building codes and has a limited lifetime warranty. High-level performance and durability: Vinyl fencing will not rot, twist, or lose its color in extreme temperatures or poor weather conditions. Curb appeal: It looks fabulous—always! No need for painting—ever! 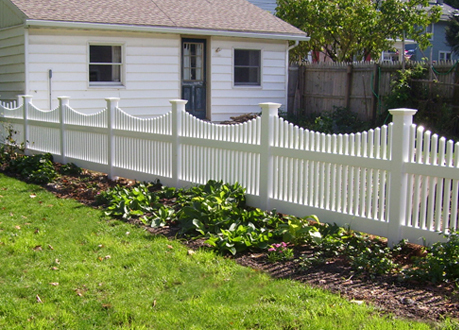 An investment you can count on: Vinyl fencing boosts property value. Safety: Because vinyl stands up to weather and resists breaking, you don't have to worry about it losing its looks or causing injury due to rusting or splintering. Low amount of maintenance: Property owners find that they have more time to do what they love. 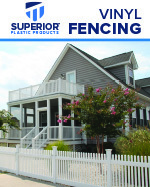 Superior Plastic Products, a name synonymous with innovation and reliability, makes vinyl fence systems that deliver style and durability with low maintenance. 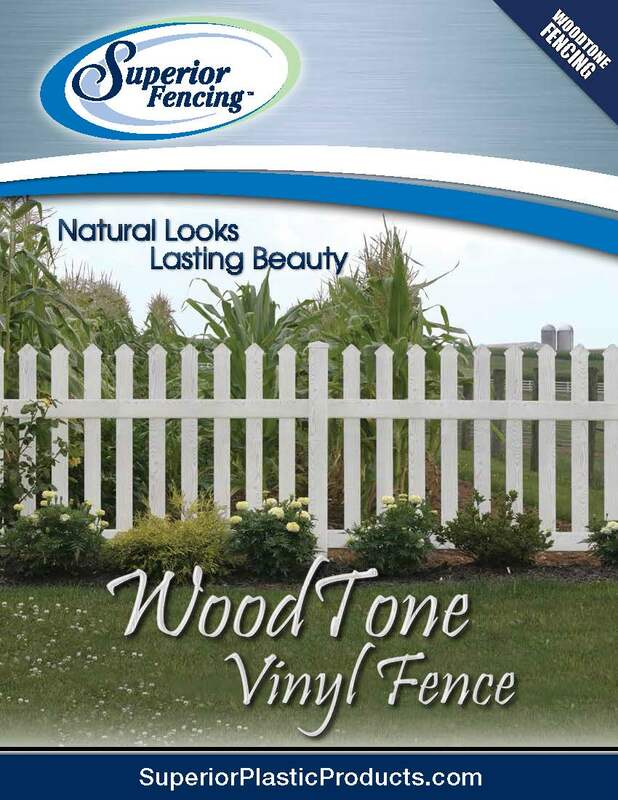 For superior performance and beauty to accentuate any property, vinyl fencing can't be beat. Natural looks and sturdy contruction offer lasting beauty to any yard. Superior is a quality manufacturer and supplier of Vinyl Railing, Vinyl Fencing and Vinyl Specialty Products. We appreciate the business partnership that we can have together to present our products to the market.